The Chattery is hosting the Second Annual Great Adult Egg Hunt & Hoppy Hour on Saturday, April 20th! This second annual event combines the arts, community collaboration, and of course, education. Through a creative partnership, local artists will create one-of-a-kind works of art on an evergreen wooden egg, and adult participants will search for the eggs at Sculpture Fields. We’ll conclude the event with a restaurant “hop” along Main Street to continue to build community and support local businesses. The Hoppy Hour starts at 4 p.m. Participants are encouraged to wear their Sunday best for added fun, but wear comfortable shoes! -The Egg Hunt will officially kick off a little after 2pm. The Egg Hunt will include tunes from D J M C P R O, booze from The Bitter Alibi, bites from Amaizeing Food Truck, sweets from NoBaked Cookie Dough Chattanooga, and lots of fun stuff from Cempa Community Care, Carvana, Yelp Chattanooga, and Bloodthirsty Vintage. - You only get to keep ONE artist designed, wooden egg. No matter how many you fall in love with, you must only pick one. No one is guaranteed an egg. Help us keep it fair for everyone participating. We'll have candy-filled eggs of course too! - Once you find the egg you'll love forever, please check in with The Chattery so we can let the artist know who their egg is moving in with. Fact, fiction or just plain fun? What do your lines have to say? Palmistry is more commonly referred to as palm reading - the art of telling someone's future or character through reading the lines in the palm of their hand. In this class, you'll learn about the history behind palmistry and get a basic understanding of what lines on the hands say. Gale Carrier has been reading Tarot since 1973 when someone gave her a deck of the old style Tarot with the Egyptian Ankh on the back. She developed her own style of reading Tarot after she found that most books on the meanings of the Tarot offered little advice on how the cards matched up with one another. She didn't see anything like that until she was in her mid to late 40's and by then she had already figured that out. So, now she's more than ready to give back to those who are willing and interested in learning. When people think of investing, they probably think of the stock market. 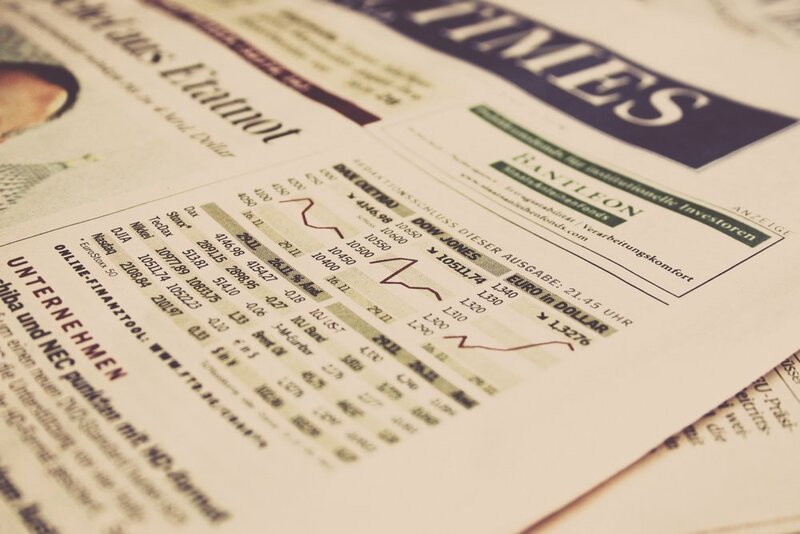 In this class, we will explore the basic economic principles of investing for financial gain and look at the ways people commonly make -- and lose -- money in the stock market. We will review resources available for free on the internet for researching stocks, and some financial concepts important to building a portfolio that matches an investor's specific needs and tolerance for risk. Please note: The class will not provide recommendations on specific stocks, and the instructor will provide disclosures of any potential conflicts of interest. David Wattenbarger is President of DRW Financial, a financial planning and investment management company. He started his financial career in 2000, learning about the business from the inside out. Prior to starting his investment advisory firm in Chattanooga, David's last corporate job was as the senior fixed income trader for a national independent broker/dealer. In his spare time, David enjoys being out and about in Chattanooga, and when at home enjoys introducing his children to the joys of classic rock. David is donating his time for this class. In this class, participants will learn the history behind knitting, the basic materials needed for a beginner knitter, the basic stitches, and how to start and finish a small easy project. Participants will learn how to make their own knitted scarf, knitted fingerless mittens, a cellphone cosy, or dish cloth. Saliha Ammour grew up in Algeria until the age of 35. She moved to Chattanooga in 2009 and currently lives there with her husband and two little kids. Saliha started knitting and crocheting since her childhood, back in 1984. Her mother was the first who initiated her to fiber art. Later, she taught herself more techniques by following patterns and making her own sweaters and accessories. Her love for craft didn't end there, once she discovered the art of Macrame in the late nineties, she fell in love with it and was impressed when she knew she could design unique jewelry, too. Saliha's enthusiasm and passion led her to start selling her work on 2011, at the Chattanooga Market and online. Now she feels eager to share her knowledge with the world. Besides being a craftswoman, Saliha speaks Arabic and French and teaches at the Chattanooga School of Language. She holds a B.S. in geology and a MS in engineering. Mary Haymaker is the writer and cook behind the Chattavore. She was born and raised right here in Chattanooga, and her blog is all about Southern food and Chattanooga restaurants. She writes about all kinds of food, but her mission is to teach people to cook from scratch without breaking the bank - money or time-wise. 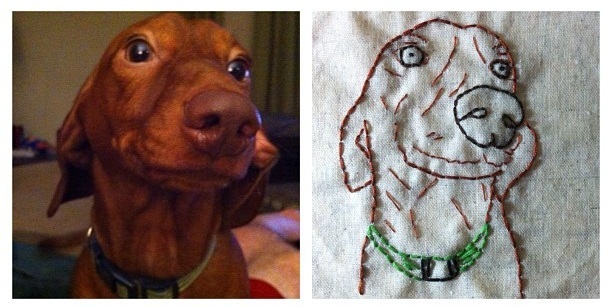 Do you love your pet so much that you’d want to immortalize them forever on fabric? Great, this is the perfect class for you. This course is designed to teach participants how to make their own basic embroidery hoop designs and learn four popular threading techniques, all focused around their pets. This will include an introduction to embroidery and all the possibilities! Please note: All participants will email a photo of their pet to The Chattery after purchasing a ticket. Class registration ends on April 18. Sarah Olivo is from Asheville, North Carolina and has always loved nature, animals, and art. She is co-creator of a cute craft shop called The Dear Fox and her partner Jimi, the fox to her deer, taught her how to embroider years ago. Sarah holds a Bachelors in Communications from East Tennessee State University with minors in Art and Interior Design. Realizing her passion for museums, she received a Masters in Museology from University of Washington in Seattle. Sarah has lived the past 5+ years in Seattle, exploring all over the beautiful Pacific Northwest, worked in many cultural and creative institutions, and most recently relocated to Chattanooga to be closer to family. You can now find her at the Chattanooga Zoo as their Membership Coordinator. In her free time Sarah loves to of course embroider, travel, and go to museums, zoos, and aquariums! On this journey young girls coming into their womanhood will enter into a sacred space to deepen the understanding of the female body while creating a positive relationship with their menstrual cycles. Parents must stay the duration of the workshop. Parents are welcome to attend the beginning of the class, and will be brought back in at the end. During the class, parents will learn more about Moms for Social Justice and The Chattery. This workshop is open to girls aged 9 to 13. This class is in partnership with Moms for Social Justice and The Chattery. Tessa Cadet is a Professional House Parent, working with children and families in crisis in Chattanooga, where she counsels families to heal traumas or displacement within the family structure. She has a background in Fine Arts, with an emphasis on Education and Women of West African Culture and has done post graduate work in Family Counseling. She began her own education into the feminine after the birth of her two daughters, rectifying her own lack of understanding of the cultural and spiritual value of the divine feminine and our historical connection with femaleness. She facilitates Sacred Women's circles in Chattanooga. Learn more about Tessa here. Wine doesn't have to be a mystery, or snobby! This is a wine class for beginners, or those who want to dig a bit deeper. We will be tasting 6 wines, all of different origin. We will discuss the various ways that where a wine is from can affect its taste. Join us to learn, drink great wine, and do all of that in a laid back way. Snacks provided. 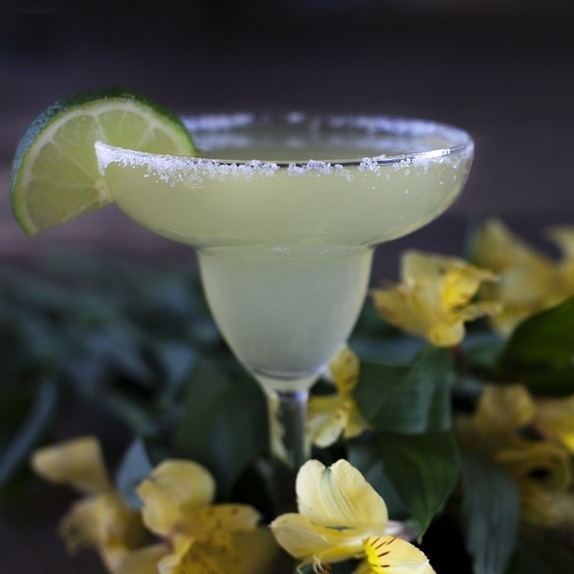 Jen Gregory is a 24 year veteran of the Food and Beverage industry. One of her college jobs was at a Wine Retailer, and she fell in love! Jen has worked for Retailers, as a Sommelier in Fine Dining, and in Fine Wine and Spirits sales for a Distributor. She began Vinthusiasm in 2015 as a way to share her enthusiasm with the public and help bars, restaurants, and retailers better navigate relationships in the industry. Learn more about Jen here. Do you lack clarity and direction in what your creative passions are? Is there a joyful connection to the work you do in the world? A connection that brings you a sense of fulfillment because you get to do what you love in the world? If your inner wisdom answered a very big YES… then join this class to identify and awaken your creative passions to support your purpose in life. Get ready to tune into the clarity you are looking for to discover your talents, gifts and treasures that make you… YOU! There is a greatness within you. Do you hear it calling for your undivided attention? You have talents and treasures that are unique to only you. You have valuable attributes that only you possess. The purpose is to live a life that is true to all of who you are! Proven techniques on how to get clear on who you are and what you want so that life feels more “on purpose”. Powerful tools and exercises that will guide you to define the qualities that make you…YOU! Clarity on what is blocking living your life completely and creatively. 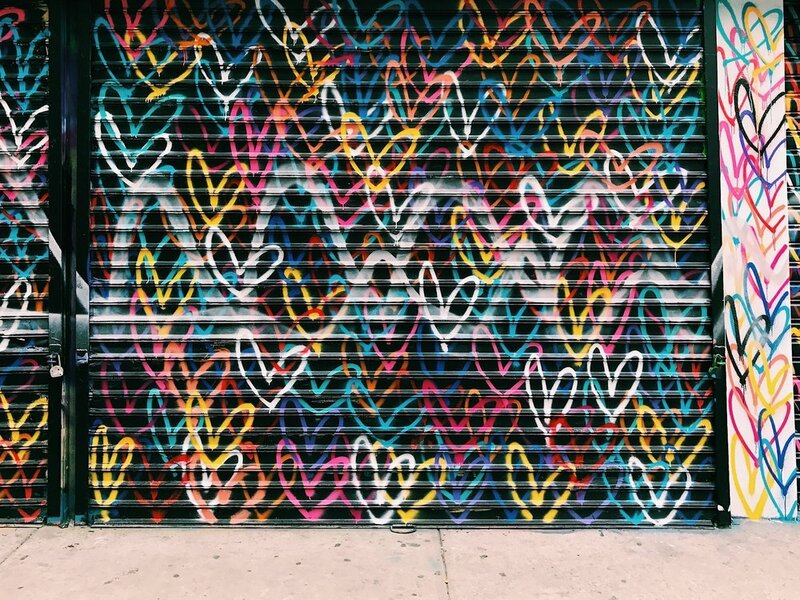 How to unleash your creative talents and share your unique gifts with the world. Isn’t it time to discover who you are and what impact you came to make? Marlee Elaine is a certified Master Instructor of the Creative Insight Journey, a Stanford University based curriculum for personal development. Marlee has been teaching her individual workshops and 8 week life transformation courses in the community and as online webinars since 2015. Marlee is passionate about creating a life you truly love to be in every day! When she is not immersed in doing what she loves to do in the world – being an encouraging insight to create your best life – you will find her backstage as theatre mom guru for her beautiful 14 year old daughter, trading recipes with her son the pastry chef, or practicing yoga, plant whispering and always creating something delish in the kitchen for family and friends. Example of what we will make in class! This class is a two hour exploration of the metal arts. You'll explore basic jewelry design & fabrication techniques (filing, shaping, texturing, cold connections & patinas), and leave with a unique pendant ready to wear or give as a gift. No experience necessary and all materials are included in the cost of the class. Materials used will include sterling silver, brass and copper. Chattanooga based artist, Janet Campbell Bradley, has been creating silver & gold jewelry for over 20 years. Currently located in Studio #4E at Chattanooga Workspace, she spreads her time between making art for galleries/art shows and teaching others how to create. Janet is a jeweler, sculptor, painter, gardener, and amazed admirer of nature. She believes that adornment should embellish the existing, natural beauty present in each person. To achieve this, she uses organic shapes and subtle finishes to create a peaceful ambiance. Precious and semi-precious materials unite in each piece, with a carefully applied patina to achieve a robust beauty with asymmetric balance that looks and feels immediately familiar yet entirely unique. Her designs always enhance the wearer quietly and respectfully, creating a feeling unlike any other jewelry. Seal your next letter with the best sticker ever! Come out and learn how to take a photo of yourself and turn it into a digital and print sticker of your own. Stickers will be cut using the Brother Scan N Cut but the techniques taught can be used for other craft cutters you may own. You will leave with a half sheet of stickers to add to your Mother's Day stickers and a digital file you can text to all your friends. Bring your smart phone and computer. No software purchases are required. Space limited. No one should be forced to fit into one box. April Corbett loves everything that she does and encourages others to find what they love and do it. She's an engineer, maker, planner designer, productivity guru and all around crafter. She's always looking for new projects and awesome places to take her engineering career. Follow April on Facebook here. Time to reverse the roles! This workshop will teach you the fun techniques of using white pens on black tiles. Students will learn how to work with gel pens, finish with white charcoal pencil and play with layering techniques. All supplies and snacks included. Introduction to Zentangle suggested, but no required. It's time to mix two things we love - embroidery and cocktails! 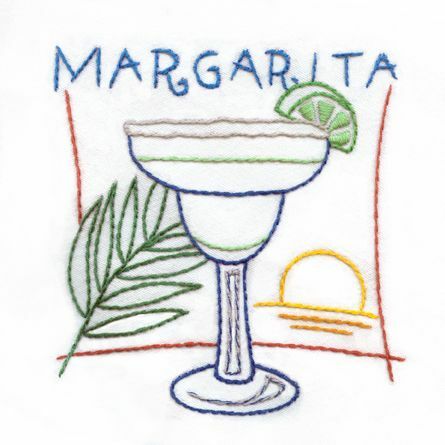 In this course, participants will how to make their own basic embroidery hoop designs and learn four popular threading techniques, all focused around cocktails. This will include an introduction to embroidery and all the possibilities! One cocktail per person included in the price of the ticket. Ready to be the most stylish shopper at the Chattanooga Sunday Market? Join us to create a custom block printed tote bag! In this 2-hour class, and with a few, simple tools, you will learn how to carve printing blocks and print your design onto fabric. 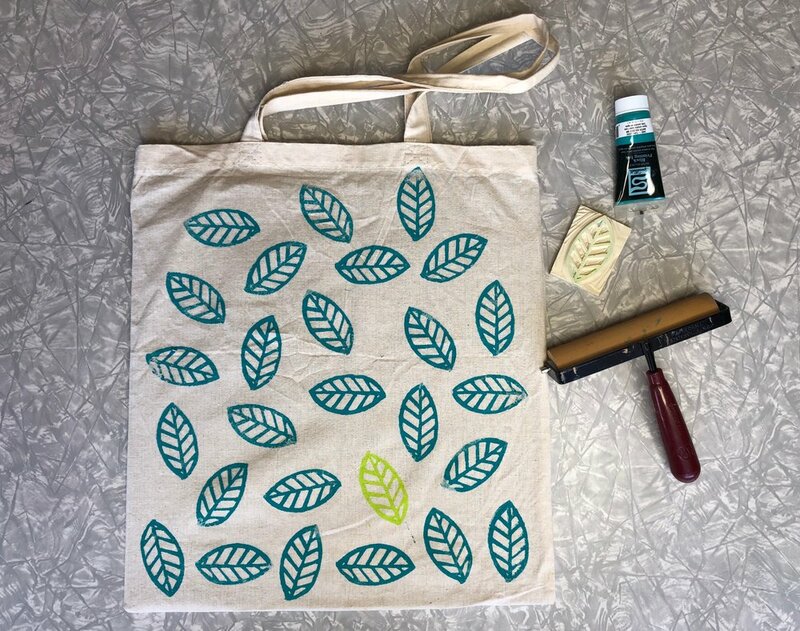 At the end of class you’ll go home with your own custom-printed tote, your own carving tool, and a block to work on more projects at home! This class is an incredibly brief look through the history and application of gender, sexuality, expression, physical sexual characteristics, and why it matters to everyone's day to day lives. We'll discuss the foundation of our identities and what it means to know yourself (and how you know what you know). We'll explore the various levels of attraction that humans experience from no or little attraction, to platonic and romantic attraction, and the words we use to describe those. We'll briefly touch on the importance of gender expression and physical sexual characteristics. The class will conclude with some practical discourse about why this matters for everyone and how we can all learn to know, love, and accept not only who we are but others too. 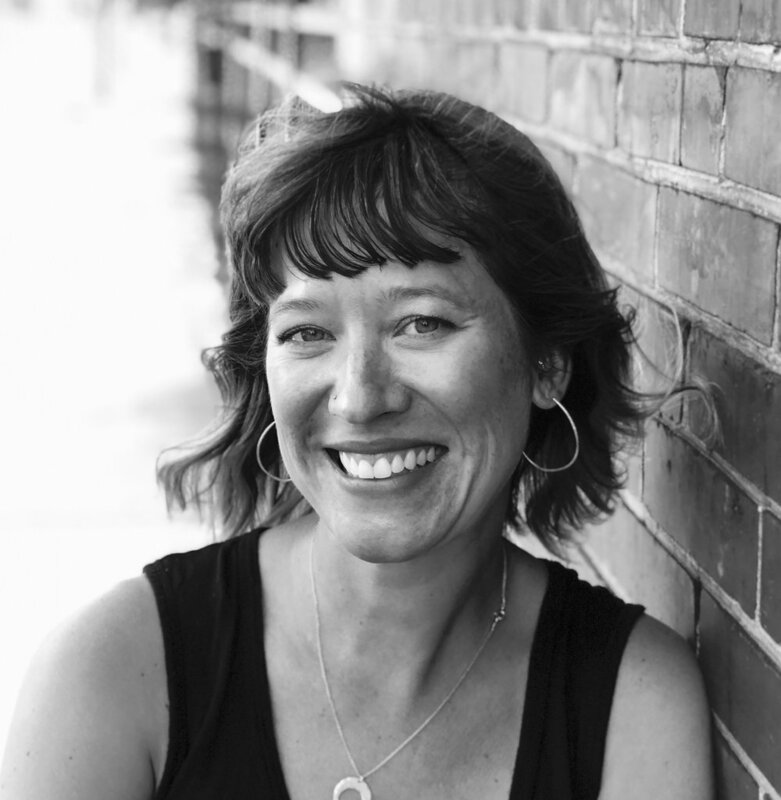 Jovie Wilkinson is a writer and teacher, exploring the intersection of gender, faith, doubt, and figuring out who you are. She graduated from Bryan College (2013) with a Bachelor of Arts in Biblical Studies with emphases in linguistics, Greek, and psychology. As a secondary school teacher and higher education administrator, she pursued opportunities to teach and acquire further formal education before coming to terms with her own struggles in reconciling religion, doubt, and gender identity. As a part-time stay at home mom, barista, and blogger, Jovie uses her free time to write about her own experiences reconciling religious experiences, the queer community, and the day-to-day adventures of parenting. Read Jovie's writings here. In this class, we’re combining our two favorites: macrame and weaving! Learn to make your own elegant macraweave wall hanging! This is a beginner macrame class and no prior experience is needed. Learn how to start your own wall hanging, including an overview of the materials. Learn how to make a variety of knots. Leave with a beautiful piece of finished wall art and the know-how to design and create more pieces on your own. Mary Kate Vanderhart has lived in the Chattanooga area for the last 12 years. Mary Kate currently resides in North Georgia with her husband, two little girls, and their three furry friends. Mary Kate is a self-taught fiber artist specializing in macrame. She also enjoys weaving. Macrame has brought so much joy to her life over the last year and she loves sharing that joy through workshops and lessons! In this class, you'll learn about the latest decor applications for furniture that makes you feel like an artist! The transfers can be applied to wood, canvas, glass, mirrors, fabric, walls, metal, and more. An easy decor enhancement that takes your work to another level. Supplies: All supplies included. Each participant will walk away with two canvas works of art and the skills to use decor transfers on furniture. No art skills needed! Rita Shurmer and her husband moved to Chattanooga a few years ago to be closer to the grandkids, after living between Nashville and Calgary, Canada. She has been painting and enhancing furniture for more than 10 years. She started it as a way to refresh her old furniture on a budget and fell in love with the unlimited possibilities of paint. Over the years she has explored all sorts of new techniques and finishes for furniture. She has a passion for restyling furniture and a joy in passing on her knowledge through teaching. Calling all plant lovers! In this step-by-step class you will learn how to paint several different types of popular cacti and succulents. We will be painting in the loose style, great for beginners, so we’ll be having fun while learning basic watercolor techniques. You’ll leave with a lovely painting ready to display in your home. Not quite sure what to do with your Instant Pot? Afraid you'll end up with a (literally) hot mess in your kitchen? Instant Pot 101 will calm your nerves with a quick rundown of the parts of your Instant Pot, review of basic Instant Pot techniques, and three recipe demos (audience participation encouraged!). We'll cook a delicious meal: chicken tacos, black beans, and rice, with flan for dessert. Bring your Instant Pot questions and if Mary doesn't have the answer, she'll get it for you! Handouts of basic cook times and techniques will be provided. This class is not sponsored by Instant Pot. Mary just really loves her Instant Pot and wants to help others learn to love theirs too! There's a big difference between perfectionism and healthy striving. Perfectionism prevents us from truly being seen. It's a 20 ton protective shield that we lug around to keep us safe. In this class, we'll talk about how perfectionism plays out in our personal and professional lives, and how understanding it allows us to live and lead authentically. Sabrina Moon is one of Dr. Brené Brown's Dare to Lead Certified Facilitators. She helps leaders and organizations develop courage building and problem solving skills. She operates and owns the Problem Solving Institute, a Management Consulting Firm based in Chattanooga, TN. In this class, you and a friend or family member (ahem, Mother's Day is right around the corner!) will each create a one-of-a-kind centerpiece, but together. Each person will start building a centerpiece and then switch with their partner halfway through so they can finish it. Learn the fundamentals of arranging flowers in a centerpiece, using basic concepts of design. Your flowers will last longer, look cleaner and be showcased beautifully in your home! Who do you trust to help you build your centerpiece? Each participant will walk away with a centerpiece of their very own and the knowledge to make one themselves. Space is limited. Each ticket includes supplies for TWO centerpieces. All supplies included, including the base. Maureen Koth finds her peace and growth in the midst of flowers. Maureen is a licensed mental health therapist and florist. She believes in the power of slowing down and allowing the beauty of flowers to bring rest and gratitude into our lives. Maureen lives and works here after moving recently from Seattle. She loves her work in Chattanooga as a florist for Fox and Fern and in her own business Zinnia. Maureen also has an online mental health practice. She cultivates a yoga practice and looks for other ways to deepen her understanding of the goodness of life. How many times have you come home from work tired & stressed out, aching and grumpy? You look online and your massage therapist is closed. Great. Now what? You look to your partner, but all you get is a 5 minute shoulder rub and then they want you to work on them. That just doesn't work for anyone. This class is for any partner - from friends to significant others, who wants to learn how to properly massage another person. We will cover the basics of massaging your partner and help you relax! Ticket covers TWO people. There is no need to purchase a ticket for each person individually. Mattie Bearden is a licensed massage therapist, owner of Mad Hatter Massage and Wellness, fitness & wellness program creator, athlete, mother of two, and general chaos coordinator. She believes in helping people get active and increase their wellness through movement to help better their lives through her online & in person courses as well as event massage, including 8 Ironman competitions and over 75 other smaller events. As an athlete struggling with Delayed Onset Muscle Soreness (DOMS) herself and treating it with massage therapy, she strives to give each and every client results from start to finish to keep them in top shape. To learn more about her online courses, go to her website here. In this two hour class you will learn where to get supplies, how to mix paste, how to roll cones, and how to apply as well as a tiny science and history lesson. THEN you get to play! Class fee includes all materials. Lisa Denney has been drawing and painting since the 8th grade. After ditching studies in biology, she earned a degree in art from the University of West Georgia, and that led to a career in rug and carpet design. She rented a studio in 2015 to get the rug design out of the house, and found a community and motivation to make art. She comes from a long line of women that enjoy crocheting and knitting and the awful craft of “plastic canvas.” She currently makes her home in Chattanooga with her man and her cat. Feeling anxious? Depressed? Stressed? Lacking clarity about who you are and what you want? Don't know how to let go of trauma or self-imposed beliefs holding you back from reaching your potential and feeling fulfilled? Or does everything in life right now just feel like an uphill battle? Or just want to feel more alive and fully present in the moment? Typically, in the United States, we might respond to these types of feelings, our intergenerational trauma and various emotional blockages with talking to a therapist over months or years who, hopefully, can guide us to embracing more empowering perspectives that alleviate our pain. Self-help books also are becoming increasingly popular, leading us to think that we can "think" our way to self-healing. Others resort to medication, escapism, or worse — denial which in turn equates to stagnated personal growth or even self-destructive behavior. In this presentation, we'll discuss why indigenous plant-based medicines, like Ayahuasca found in the Amazon to the San Pedro cactus found in the Andes mountains of South America, have helped people for thousands of years transcend ego to find inner peace and clarity in a fraction of the time we are usually lead to believe is required. Additionally, we'll discuss how to go about researching safe and legitimate ceremonial ayahuasca experiences — as well as share a personal account of one of the top-rated 10-day ayahuasca retreats in South America just outside of Medellín, Colombia. If you've ever heard about Ayahuasca, San Pedro cactus, or other sacred plants and are interested in learning more about indigenous medicines and the importance of keeping them from going extinct, this class is for you. Alex Lavidge is a local entrepreneur and adventurer-at-heart who recently spent 2 weeks in Colombia at Eagle Condor Alliance, a top-rated ayahuasca retreat & meditation center just outside of Medellín, Colombia. While being far from a guru or an expert in psychedelics or medicinal plants, he has an all-encompassing passion for spreading his enthusiasm for health, wellness, and the relentless pursuit of human potential. 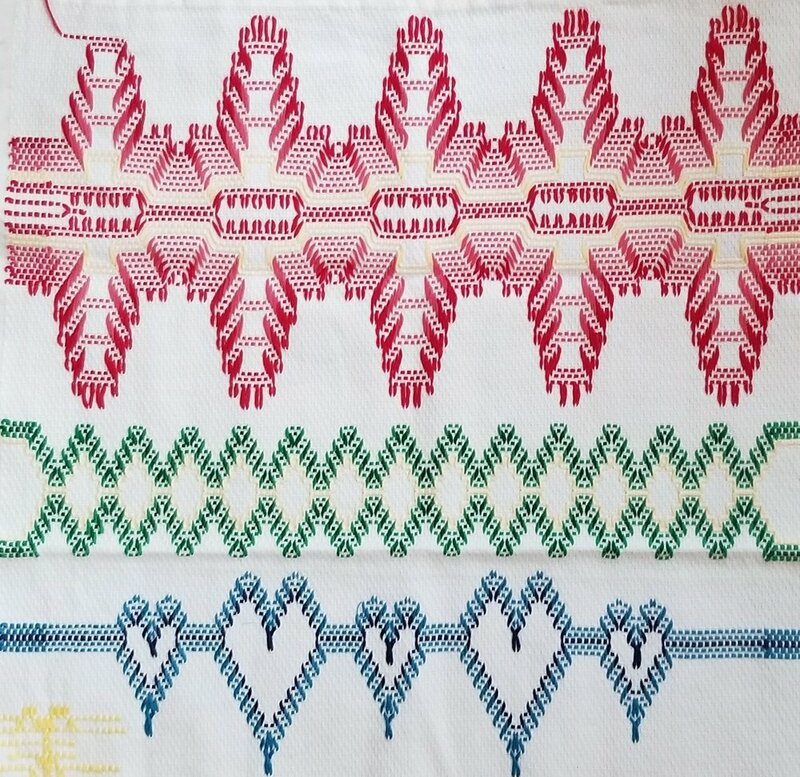 In this class, participants will learn how to do do huck embroidery, also known as Swedish weaving. The name huck comes from the type of specialty fabric the art is done on. Huck embroidery differs from other types of embroidery in that it is done only on the top of the fabric, and no threads are seen on the back. Martha Zoerb been doing various fiber techniques for as long as she can remember. She enjoys doing and sharing most, and she likes doing "handwork" and especially huck embroidery. She doesn’t want this art to be lost. Journalists and public relations professionals work together but they often have different goals. Reporters have been known to bemoan PR tactics but it goes both ways. Journalists might overlook a good story pitch much to the bewilderment of the PR pro. If you're in either of these professions, want to understand more about them or are in the position of doing your own public relations — don't miss this event. Public relations professionals and journalists with decades of experience discuss best practices and ways for each group to work together. Chloé Morrison is an award-winning journalist with more than 10 years of experience covering a range of topics from education and business to crime and courts. She's loved social media since at least the days of MySpace, and she remembers when Facebook was only for college students and was called "The Facebook." While working at the Chattanooga Times Free Press, she was an early Twitter adopter and helped teach other journalists how to use it as a reporting tool. She currently helps manage NOOGAToday’s social media accounts and has used platforms and tools, such as Twitter and Facebook live, to generate more eyes on her work. She likes the color yellow, watching her new nephew grow and using other creative outlets, such as music, poetry, painting and crocheting. With more than 20 years of marketing and public relations experience, Karlene Claridy founded Claridy Communications in 2007. As the owner of Claridy Communications, Karlene works with clients ranging from corporations to nonprofit organizations to develop customized solutions to promote their products and service offerings. She helps clients maximize their exposure through sound marketing and public relations strategies. Prior to founding Claridy Communications, Karlene was the Public Relations Manager of EPB, a public utility located in Chattanooga, TN. During her tenure, she served as the company’s spokesperson and was responsible for developing and implementing communication strategies in support of EPB. David Martin is a co-founder of Heed Public Relations, a Chattanooga-based PR agency. He has over a decade of experience in the marketing and public relations space, including stints as communications director at Bellhops, a VC-backed moving company, and Briteside, a now publicly traded (Canada) cannabis startup. Over the years, David has secured hundreds of articles in North American outlets, including the New York Times, Forbes, Business Insider, and more. He is also a former local and syndicated columnist, but usually pretends that never happened. Jim Tanner spend 14 years as a journalist with the Chattanooga Times Free Press, starting as a page designer and copy editor before spending eight years as assistant sports editor. He won first and third place for sports-outdoors writing in the 2015 Tennessee Associated Press News Excellence Awards, and he also has earned awards from the East Tennessee Society of Professional Journalists. Since 2015, he has worked at McCallie School, where he is the Deputy Director of Communications and Marketing with responsibility for PR, copywriting, media relations and marketing for the school. Dr. Felicia McGhee is the interim head of the UTC Communication Department. Dr. McGhee graduated from the University of Michigan in 1992 with a Bachelors Degree in Communication. She received her Masters Degree in Public Administration from the University of Tennessee-Chattanooga. Dr. McGhee completed her doctoral degree at the University of Tennessee-Knoxville. Dr. McGhee has more than 13 years of broadcasting experience. Dr. McGhee has been teaching in the Communication Department for 17 years and was appointed interim department head on May 1, 2018. She is a member of the Alpha Kappa Alpha Sorority and Kappa Alpha Tau. Remember when you used to go over your friend's house and eat pizza, burnt popcorn, and do questionable makeup? Well, this is like that minus the burnt popcorn and uncertain makeup. Come make your own lipstick or lipgloss with a professional colorista as your color spirit guide, play at our blush bar, ask us skincare questions, eat pizza and popcorn, raid your parent's liquor cabinet, and get matched up with a custom foundation if you so desire. It's fun, easy, and most importantly, you won't get grounded. Call 423.266.6222 to avoid eventbrite fees. This event is coordination with elea blake cosmetics. This class will teach you about painting with watercolor on non-traditional mediums. Each student will complete two book page paintings. All supplies included. Welcome to painters of all levels. Jaime Barks is an artist and teacher living in southeast Tennessee. Jaime has sold paintings through out the southeast, completed two public art projects, and taught classes and workshops throughout the Chattanooga area. In this class participants will learn the French alphabet, the consonants and vowels pronunciation, some basic useful words and expressions such as greetings and introductions. In this class, you will learn the basics to create beautiful, archival quality artwork. You will learn how to prepare the paint and canvas, different fluid techniques, and how to finish your artwork so that it can last for years to come. You will take home artwork that you and your family can enjoy for years to come. Kittie Diggs is the mother of four, a writer and a painter. Kittie turned to painting and writing as ways to heal from the death of her oldest son. He died from suicide when he was 18. The hardest thing for her has been to watch her other children suffer and remain stuck in their grief. Kittie has worked extensively on herself and her past trauma in order to help her other children grow and become all that they can be in spite of suffering such a great and awful loss. As a result, Kittie is a certified Gateless writing teacher and artist. Her greatest gift is to pass along some of the knowledge of her healing on to others. it is possible to overcome and grow from even the most tragic and awful things. For her tapping into her creativity has been pivotal and she is so happy to share that now. In this class, participants will learn an overview of how home garden choices can directly effect species survival and niche ecosystems. Collectively, in a time of species collapse, home landscapes can make a huge contribution. Stripping out our native plant base -- substituting foreign species-- is the missing link in the study of species collapse. This class will teach how important native plants are and how to identify them. Lisa Lemza is a Chattanooga native and UTC grad who returned to this area in 2003. She is a Lifetime Master Gardener, and co chairs the Brainerd By Grace Community Garden, Urban Wildlife Habitat, and Pollinator gardens on the grounds of Grace Episcopal Church. She serves on the Board of the Tennessee Valley Chapter, Wild Ones, which mission is to increase biodiversity through the use of native plants. Your difficult relationship may be your mother-in-law, your significant other, your ex, or your spouse. This 90-minute teaching is packed with practical tools to give you clarity and skills to show up as the real you. You'll be able to focus on what matters most. To recover from a regrettable incident. A licensed counselor specializing in relationships pulls back the curtain in her personal life and shares from her years of counseling couples. Each participant will receive a signed copy of her book, "Beyond Messy Relationships: Divine Invitations To Your Authentic Self." Please note: The content is psychoeducational only and time for Q & A is not a substitute fo professional counseling services. Judy Herman is a licensed professional counselor, speaker and author of "Beyond Messy Relationships." She inspires audiences, readers, and clients to create connection beyond conflict in ways that transform their most crucial relationships. In her private practice on Main Street in Chattanooga, Tennessee, she counsels entrepreneurs, clergy, and other therapists. Her authenticity makes her reputation as a soul cheerleader a great combination with her professional expertise. She’s a mental health service provider and a National Certified Counselor who specializes in relationships. Her training with world-renowned marriage experts include Drs. John and Julie Gottman; and Imago Therapy founders, Harville Hendrix and Helen LaKelly Hunt. In 2006, she began private practice with growing expertise in couples’ counseling. For fun, she and her husband enjoy outdoor activities. Camping, hiking, canoeing, and bike-riding are among them. They also enjoy their dancing. But most of all, it’s the adventures with grandchildren that rank the highest! Kali Meister is an award-winning writer, actor, and filmmaker. She served as the Jack E. Reese Writer in Residence of the University of Tennessee Libraries for 2008-2009. She holds the MFA in Creative Writing from Goddard College in Plainfield, Vermont and a BA in Psychology from University of Tennessee in Knoxville, Tennessee. Meister prides herself on being a true cross-genre writer and eclectic artist and individual. She has had original poems, short stories, essays, news features, non-fiction works published in various anthologies and literary reviews, and she also works as an actress, activist, spiritual healer, and teacher. Learn more about Kali here. 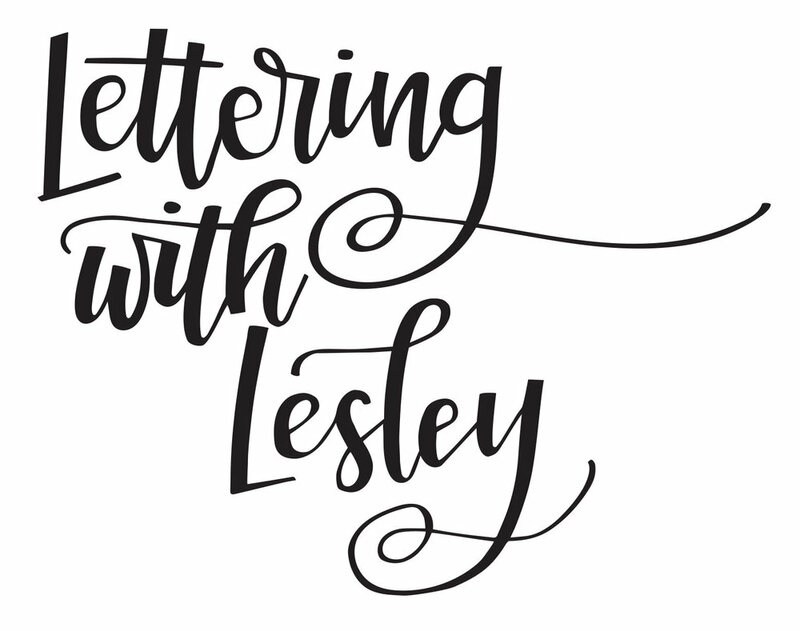 Linda Harris is a local calligrapher who loves the written word and beautiful lettering. A retired Physical Education teacher in Walker County, Linda is married to a retired teacher and has shared her life with him for 43 years. Her beagle is the second love of her life. She majored in P.E. in college, with a minor in art. She also enjoys kayaking, gardening, cooking and is an avid reader. She is looking forward to sharing her love of calligraphy with a group. This class is for anyone who has questions about writing, editing, formatting, proofing, and small-target publishing. To facilitate this course, you can email your questions to the Writer before class. Please email any questions to info@thechattery.org. Supplies: We will provide pen and paper. Please bring your own notebooks, tablet or laptop if you prefer. In this class, participants will learn the history behind the art of crocheting, materials used for crochet, the basic stitches, and how to start and finish a project. Participants can chose between making a scarf, purse, granny square, or doily. Prints and repeat patterns appear on everything from clothing to home decor to packaging. In this class we will cover some basic forms of repeat patterns and students will learn easy ways to construct repeat patterns using only pens, paper, tape, a little bit of light, without the need of digital intervention. Join us for a morning of tips, tricks, doodling, community, and laughter. Space limited. All supplies included. Pauline Sheets was transplanted to the south from Northern Michigan to pursue her BFA in Fibers at the Savannah College of Art and Design. Her work focuses on surface design for interior applications such as tile, wallpaper and upholstery fabric. After completing her degree she moved to Chattanooga and currently works for Mohawk Industries designing custom carpets for hospitality. Outside of her day job, Pauline uses the skills she has learned to teach her new community about the the magic of repeat pattern design, and to help open kid’s eyes to all of the creative careers that exist. Do you love gin? This is the perfect class for you. In this class, we'll be learning about the history of gin, in addition to tasting four gins from a variety of styles. Even if you don't think gin is your thing (because of all the pine cone flavors), give this class a shot and let us change your mind! This class will teach you more about the history of gin along with a few recipes to impress your family and friends. The Jewelry Fundamentals sessions are for those who want to explore and learn more intensive jewelry making skillsets. This hands on series will focus on the basics of soldering metals together using an acetylene and/or a butane torch to create jewelry. Over time, this month long series will expand to include both beginning and more advanced students as need develops. We'll start with safety, tools and setup, then cover various types of soldering techniques and troubleshooting. April 9, 16, 23, 30 from 6pm-8pm. No experience necessary and basic materials are included in the cost of the class. Materials used will include sterling silver and copper. (Additional silver can be purchased from instructor). Space extremely limited. Learn to make your own fun, macrame plant hanger! This is a beginner macrame class and no prior experience is needed. Learn how to start your own plant hanger, including an overview of the materials. Leave with a beautiful piece of finished plant hanger and the know-how to design and create more pieces on your own. Writing with concrete images instead of generic language will bring any type of writing to life. Concrete imagery uses vivid descriptions to communicate concepts and scenes with sensory language. 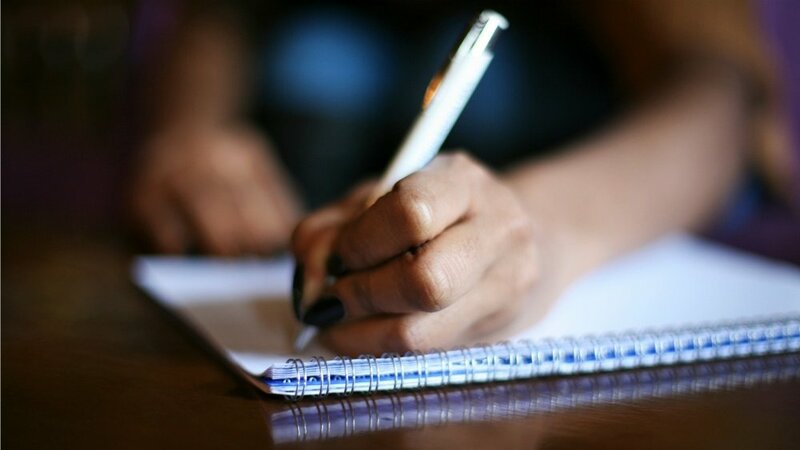 In this class, we will practice writing with specific, concrete images that add substance and beauty to poems, short stories, essays, novels, blogs, interviews, creative nonfiction, and reportage. 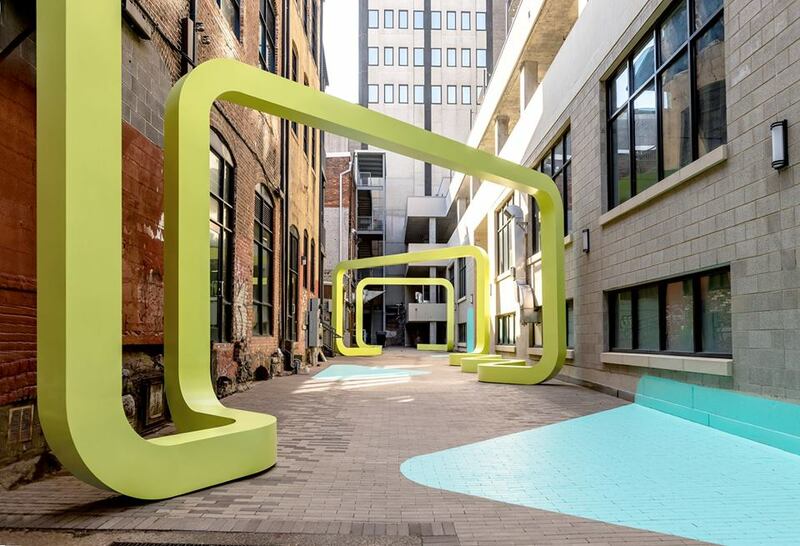 Join us for Namaste in the Alleyway - a morning of yoga and mindfulness followed by a well-deserved glass of champagne. This class will be held outside in the latest Passageways alley. For this class, you’ll need to bring your own mat and any props (like a block or blanket) with you. This class is for all bodies and levels. Proceeds will be dedicated to helping The Chattery find a permanent home. Laura Skonberg started her yoga journey in 2004 while attending college in Boston and was immediately hooked. The practice brings her peace, challenges her physically, and is just so much fun. In 2009, Laura completed a 200-hr yoga teacher training through the Asheville Yoga Center and since then, she's taught at various studios including Madia’s Studio, the Sports Barn, Yoga East, and Toes Yoga. Maximize the fun with a paint medium that can be used on just about any paper you have on hand. No need for expensive watercolor or mixed media paper with these opaque watercolor paints. Come learn and play as we introduce you to painting with gouache and practice illustrating with this medium using artists coloring pages. All supplies included. Everyone will receive a set of gouache paints and paintbrushes to keep. Into each life, a little rain must fall. In this workshop, you will create your own small "rain cloud" woven wall art. No experience is needed as you will be learning the two most basic of weaving techniques: tabby (over under) and rya fringe on a pre-warped homemade frame loom. Supplies: Each participant will be supplied with yarn and all the necessary tools. Cecil C. Williams III is a native of the scenic city, Chattanooga, Tennessee. On May 9, 2003, Cecil and his cousin were involved in a head-on collision which left his car totaled and left him with a fractured right wrist. However, a year later, a doctor would diagnose him with Cerebellar Ataxia, a disease that would worsen and progress over time. It would weaken his limbs and and motor skills. It crushed his world when he was laid off from his job in 2008 and two years to later to have a permanent physical disability. As the years went on, Cecil learned to cope with the adversity that buffeted him daily. In 2018, Cecil got a part-time job at the YMCA of Metropolitan Chattanooga. The job gave him a sense of purpose and helped to give him his life back. He later on started on a journey that he called "The Adventures of Cecil- 2018." His strong faith in God and curiosity has led him to try new things such as rock climbing, kayaking, sailing, adaptive cycling, adaptive water skiing and many more through SPARC (Sports, Arts, Recreation of Chattanooga, a Chapter of DSUSA) and the Chattanooga Therapeutic Recreation Services. He's not done yet by far. Your astrological birth chart reveals who you are when you are born. What does that mean for your life? In this class, you'll learn about the history behind astrology and get a basic understanding of the basic terminology, symbols, the twelve zodiac signs, the planets and elements. This is a class for any wine drinker who wants to know a bit more, or just have some fun and soak up a bit of education! Wine doesn't have to be a mystery, and certainly doesn't have to be snobby! Wine 101 is all about learning to taste, smell, and sense wine, as well as learning some of the most popular places wine comes from. We'll be tasting three whites and three reds representing several different varietals and regions. Light snacks provided. This event has been canceled. Please email us at info@thechattery.org if you were interested in signing up and we’ll notify you of the next offering. Thanks! 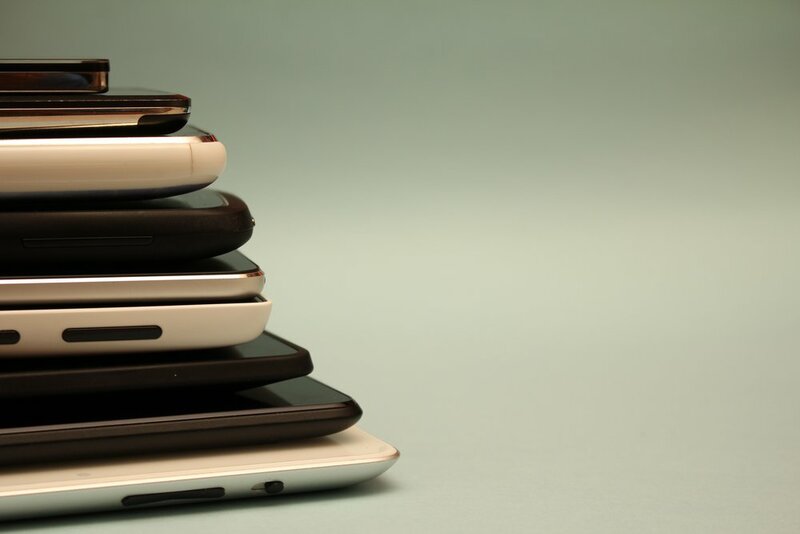 That impressive small computer you carry around in your pocket can do more than just make phone calls and send text messages. Come learn some tools and tips that will help you use this tool safely and add more productivity to your day. Never lose another contact again! Bring your smart phone and a list of any questions/frustrations you have had while using your phone. All phone types welcome. Unlock your journaling potential! By now you have probably heard about the Bullet Journal craze that has taken over Pinterest and Instagram since its inception back in 2014. Based on personal experience with creative journaling over the past 3 years, teacher Martha Arrington share pages from her own journals, discuss pros and cons, tips and tricks, and materials and supplies. In this class, you'll learn how to set up the 6 most important pages in your journal so you can walk out of class ready to begin a more productive and organized life. Supplies: All supplies included. Each participant will receive a 30 page journal and Sakura Pigma Micron pen. Give Back Night at the Flying Squirrel! Come and have a drink and dinner that night and support a great cause. No RSVP needed. We’ll see you there! Do you think you're ready to buy a home but don't know where to start? In this course, we will cover all the things you'll encounter as a first-time home buyer: working with a realtor, mortgages, finding a lender, what to expect from closing costs, how much money to have set aside for emergencies, paying bills, and more. Come with any questions you may have and our experts will help you along the process. Adult beverages will be served. This class is presented and sponsored by realtor Marie King and lender Brian Kniegge. There is no cost to attend this class. Since becoming a Realtor in 2000, Marie King has been assisting buyers, sellers and agents attain their Real Estate dreams. After seven years as a solo agent, Marie joined the 1st Keller Williams Realty office in Chattanooga as Director of Career Development/Assistant Team Leader, later transitioning to the Team Leader role until returning to sales in 2013. Since that time, Marie has continued her passion of training and coaching. In addition to coaching agents to success and assisting buyers and sellers with their Real Estate needs, Marie volunteers with the Dave Ramsey, Financial Peace University (FPU) program. Marie is the proud mother of two amazing young adults; Rachel, who is a nurse at Erlanger and son, Nathan, who is a UTC graduate and also resides in Chattanooga. Brian Kniegge started in the mortgage industry in 1998. After having a less than stellar experience when he bought his first home he decided that there has to be a better experience for clients. He has been assisting buyers and home owners with their financing strategies ever since. His goal for a buyer is to be accurate, predictable, and accountable to what is promised. Brian has lived in Chattanooga since 1997. He and his wife live in the downtown area, and his 15-year-old son grew up here. The whole family loves Chattanooga and everything that it offers (especially the fun outdoor stuff like mountain biking!). This class is sold out. Please sign up for the waitlist below to be notified of the next class. Maybe you've heard this odd word, Enneagram, and wondered what it was all about ... or maybe you've taken an Enneagram test, but don't know what to do with the result. Either way, this short introduction to the Enneagram framework will give you a broad overview of the nine types and how they relate to one another, the patterns that each type exhibits, and the opportunities to have more harmonious relationships with all types available with this understanding. 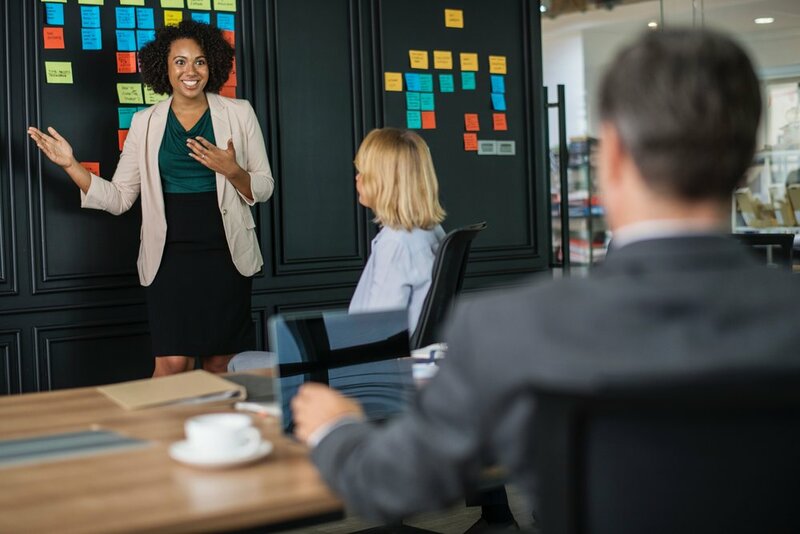 Attendees will get the most out of this workshop if they first take an Enneagram quick test, although it is not required; we recommend this one. Liz Norell is a yoga teacher, life coach, and college professor who values genuine connection and service above all else. She works with women (and sometimes men!) who stay busy yet feel unaccomplished, who feel certain there must be more fulfillment and purpose to life than hectic days and sleep-deprived nights. She helps others root down into their true callings, then gather the courage to leap to answer those callings. 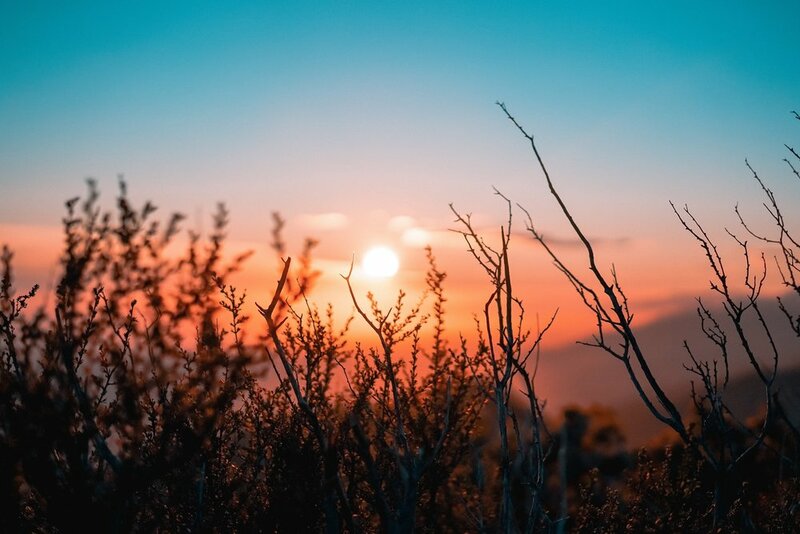 Using a holistic approach, informed by the Courageous Life Coaching program, the tools of Playing Big, and the Enneagram framework, she helps others come home to their truest hopes and trust they have everything they need to pursue their dreams. What is Tarot? Is it mystical, magical or just pretty cards? In this class, you'll learn about Tarot's origins and history, what a Tarot reading is, and the meanings of the cards. Students are welcome to bring their own Tarot cards. Do you have an old piece of furniture that needs freshening up? In this class, you will learn how to properly paint furniture from all the prep to what types of paint you you can use to the topcoat sealing. Instructor Rita Shurmer of Restyled Renewed will go over how to properly prep your furniture, good quality paint options, brushes and rollers, how to get a smooth finish, and different options for sealing your pieces for a long lasting finish. Supplies: Painting supplies included. All students will leave with container of paint and a paint brush. Each student needs to bring a small wood piece to paint and a hair dryer if possible. Wood will also be provided for those who would prefer to use it instead. In this workshop, students will learn the basics of pruning and wiring junipers to create their own bonsai. At the end of the class students will take home their new trees along with information on how to care for the plant through the upcoming growing season. Supplies: Participants will be provided with plant material and wire, as well as handouts detailing pruning, wiring, and basic care instructions. Tools will also be provided. Space is very limited. Sales end Thursdsay, March 21 at 8pm. Bradford Slama is a self taught bonsai enthusiast who has a passion for sharing the knowledge that he has gained. Bradford initially came across bonsai because he wanted something more than a house plant in his windowless office. It turns out bonsai are very difficult to keep indoors, so he turned his driveway into a small bonsai garden. He learned most of what he knows about bonsai from books and from club members in California, and brought his trees with him when he moved to Chattanooga almost a year ago. 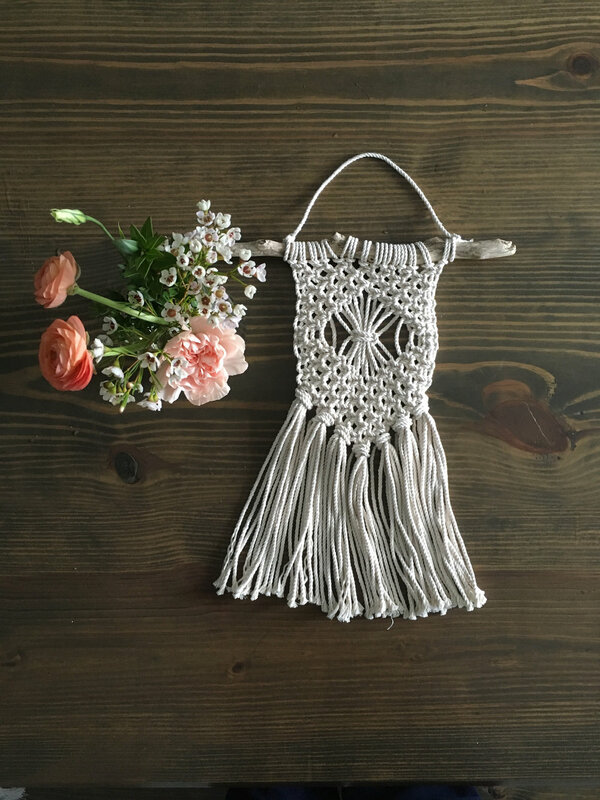 Learn to make your own elegant macrame wall hanging! This is a beginner macrame class and no prior experience is needed. Are you thinking of moving or are you just bored with how your space is laid out? Join us with interior designer Amy Winchester and Smart Furniture designers to learn how to plan your space so it works for you. The class will cover small and large space planning. A portion of the proceeds will benefit Homes & Havens. This class is in partnership with Smart Furniture Studio and AW Interiors. Amy Winchester is owner of AW Interiors and a Porter Paint Color Consultant. She is a Certified Colour Specialist from the International Colour Society and was previously the district director of the Chattanooga American Society of Interior Designers. She is currently a mentor to UTC design students and is a member of the UTC Interior Design Advisory Board. Amy has a B.S. in Human Ecology and Interior Design from University of Tennessee Chattanooga. Claire Ellison has been an interior design consultant at the Studio for Smart Furniture for nearly two and a half years. She previously worked as a Graphic Designer, and studied design in Florence, Italy. She loves helping clients solve the problems that get in the way of them living in comfortable, and beautiful spaces, but she mostly loves the relationships that are formed during the design process. Whether it is planning a space for function, selecting color schemes that reflect your personal style, or selecting the durable, amazingly comfortable furniture for you to live your life on, she is ready to jump in and help. Amberley Gridley has been working in interior design for five years, after graduating from the London College of Interiors I began working with Martyn Lawrence Bullard in Los Angeles. Although her work has mostly centered around residential clients, from working with Smart Furniture she has had the opportunity of working on commercial projects. Like many other designers, when it comes to helping her clients the most important thing is to give them the ability to see their dream room as an actuality, regardless of budget. Amberley is a sucker for plush velvet, good stitching, the artist formerly known as Prince and anything chocolate. Lindsay Callaway grew up in Chattanooga, TN. She attended the University of Tennessee at Chattanooga and received a Bachelor of Science degree in Interior Architecture. Her hobbies include hiking, painting, photography, and going to concerts in my spare time. You will also find her quoting The Office most of the time, and talking about my favorite TV series, Mad Men. Unfortunately this class has been canceled. Please email us at info@thechattery.org to be informed of the next date. Thanks! Interested in creating your own skin nourishing soaps? In this 2 1/2 hour class we will discuss the chemistry behind this process, and safely use oils and lye to create 5-6 bars of soap for each person to take home.